This means you also missed out on my Christmas, which was filled with my wonderful family, seeing some friends, and watching the movie Wild. More than anything though, I watched SpongeBob, got my fill of HGTV shows (because I’m too poor for cable. Damn), and I stalked my cat every second I was home. It was magical, I assure you. Now it’s the beginning of 2015, which naturally means I need to have some New Year’s Resolutions because I love to make promises that I won’t keep (exhibit A– re-read the first paragraph). But I can imagine the curiosity burning in your eyes– What is it that I’m promising? Starting today, each Friday will be “Feline Friday.” You might also notice that today is, indeed, SATURDAY and not Friday. Before anyone thinks I’m terribly confused (a valid concern), I started with good intentions, but then went to a pizza party before I could post (because my love for food is almost as strong as my love for cats…almost.). This is also me admitting to you dear readers that I’m just as capable (hell, maybe even MORE capable than you) as you when it comes to failing at New Year’s resolutions. But don’t worry, every Friday from here on out will be devoted to feline friends. Is that… a hand model’s thumb? 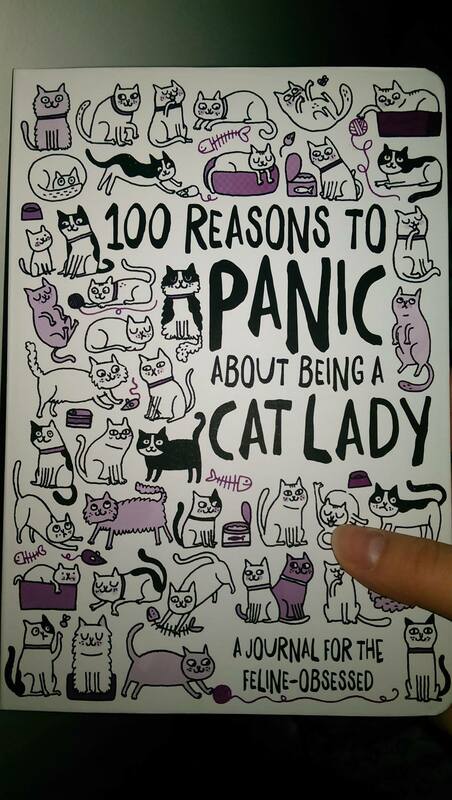 dedicated to saying why one should fear becoming a cat lady. These warnings are then followed by contradictions, saying why being a cat lady is actually a gift from God, the highest honor one can achieve etc. The first prompt as to why I should (but do NOT) fear being a cat lady: you’ll show strangers photos of your cat. 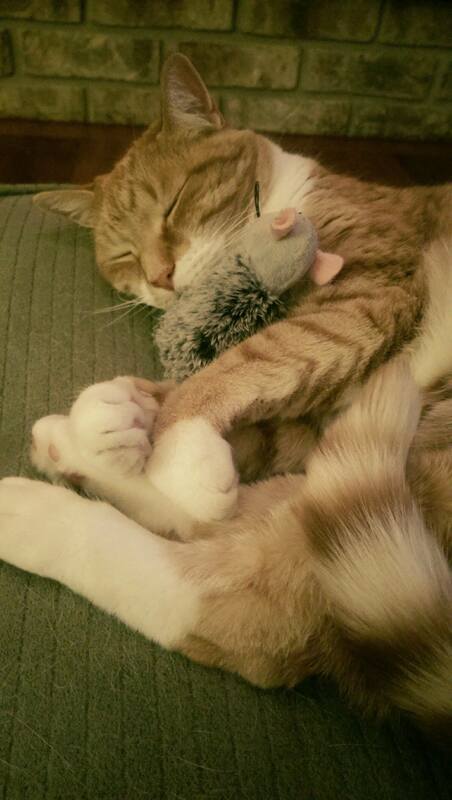 Passed out in a cat nip haze. Whoops. I mean, why is it okay to let some mild acquaintance show me their entire iPhone photo gallery of their kids, but when I try to show people a few (hundred) pictures of Ollie, they look at me like they’re offended or experiencing indigestion? So no, I will not stop talking about my cat like he’s my child, and no I won’t apologize for the million pictures I take and post because I don’t believe in being shamed or feeling ashamed for what I love. It’s good Ollie can’t understand any of this, though. I do have people ask me how he’s doing, or have people point out that I haven’t posted many pictures of Ollie lately, and I fear this attention and stardom might go to his already chaotic head. His popularity on social media, however, is not nearly as interesting as his new cat nip toy, so he stays blissfully unaware for meow. So, there’s one of my New Year’s Bucket List items– blog more, and blog more about cats. I will share the rest of my list at a later date. Get excited readers– it’s going to be purr-fect year. (Okay, I’ll stop…but only for now). Write about my cat Betty who you know next to nothing about!! And don’t worry if it’s Saturday, you can say it’s Caturday. Robin, send me a picture of Betty, and I’ll get her on here! Loved this post! Very funny. And you should DEFINITELY blog more about cats. We’re awesome. I Could Meditate or I Could…Not.